MOSCOW (Sputnik) - North Korean issues cannot be solved by military means as such an option would only exacerbate existing problems, Chinese Ambassador to Russia Li Hui told Sputnik. "China and Russia unanimously believe that this issue does not have a military solution, which will only exacerbate the problem and lead to serious consequences. Not only in the past, but also in the future, the solution of the problem by military means should not become the choice of any country," Li said. 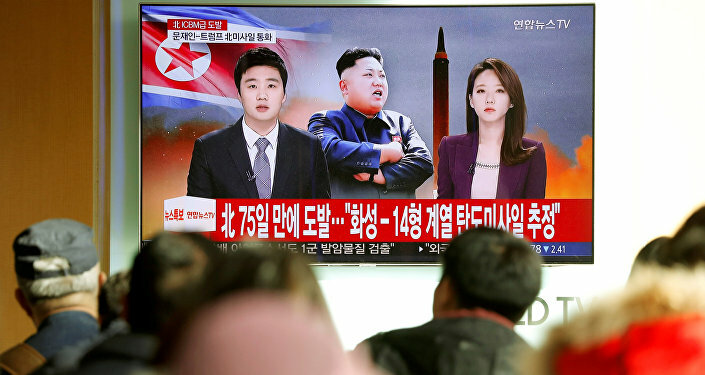 According to the diplomat, it is necessary to resolve the "justifiable fears of each side on security issues" with regard to the situation around North Korea. "The root of the problem of the Korean peninsula is the lack of mutual trust, and each party should promote mutual trust," Li noted. The ambassador stressed that "simultaneous treatment of both the causes and symptoms of the disease" was necessary to solve the problem of the Korean peninsula. "Acting by brute force and acting alone is inadmissible, each side must exercise restraint. The United States and South Korea must demonstrate a sincere desire to start a dialogue, only by moving toward each other can the nuclear problem of the Korean Peninsula be resolved," he said.